Trexel Inc., widely known as the company that developed and commercialised the MuCell Process for the production of microcellular foamed parts in injection moulding, blow moulding and extrusion, is offering the Tecocell additive system, originally developed by Polyfil. It represents the next generation in chemical foaming technologies. 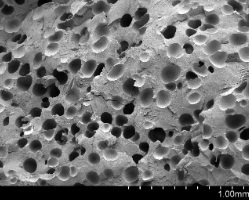 Having only one reaction point, unlike most foaming additive systems, TecoCell does not produce corrosive byproducts or require scavenger technology. 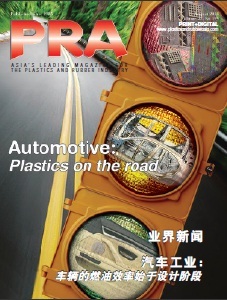 Trexel has exclusive rights to commercialise TecoCell for all injection moulding and automotive blow moulding applications, while Polyfil will market its EcoCell line of CFA’s for extrusion opportunities. TecoCell has a reaction temperature of 200 degrees C, at which point the system releases CO2 to create a microcellular structure in the range of 20-80 microns. 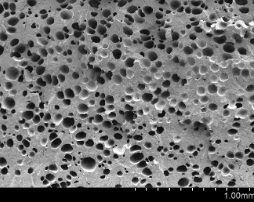 As with all foaming systems, the optimum size of the cell will depend on the process conditions and type of material used as well as the part geometry. This system is targeted at injection moulding across all industries and specifically at automotive blow moulding applications. Weight reductions of 30-35% for blow moulding and 7-10% for injection moulding parts are typical for this additive package. 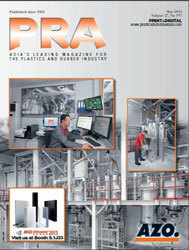 The blow moulding applications have seen excellent property retention. TecoCell, which is produced through a specialised and patented process, creates a homogeneous gas/cell matrix by utilising uniform size CaCO3 particles of 0.08 microns. The CaCO3 nano particles distribute themselves evenly in the material system, resulting in a strong and constant cell structure throughout the blow moulded or injection moulded part. The uniformity of the cell gives the user a light weight part with low warpage, faster cycles times, better stiffness and higher heat distortion properties. This even distribution and small cell size of the TecoCell additive is especially effective in unfilled PP and PE materials. These materials are commonly used for blow moulded automotive ducts and injection moulded thin wall packaging. The new automotive CAFÉ standards demanding the need for lighter weight parts in new vehicles is driving a need for blow moulded ducts with the same functionality at a lower density. TecoCell can be blended into existing accumulator blow moulding systems to see weight reductions of up to 35%. Packaging applications will benefit from TecoCell product both to save material costs and to improve material flow.